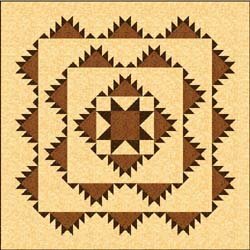 "As I looked over antique quilts I was particularly drawn to this version of the Delectable Mountains. 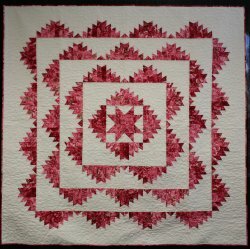 Although many versions have the rows of mountain repeated around the center like this quilt only a few had the Variable Star in the middle. 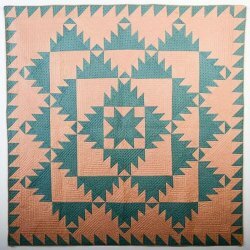 "You can make this quilt as large as you wish simply by repeating more rows. You can also vary the size with the width of the border. 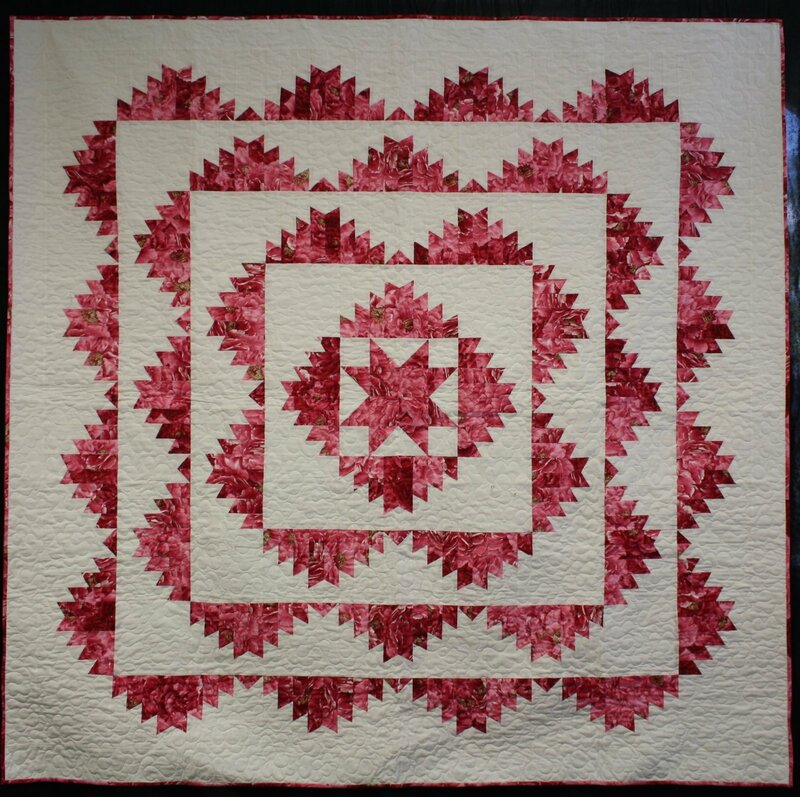 I used a two inch border on the this pattern making it a little more than 60 inches square. Of course it's up to you if you want to add the central star." 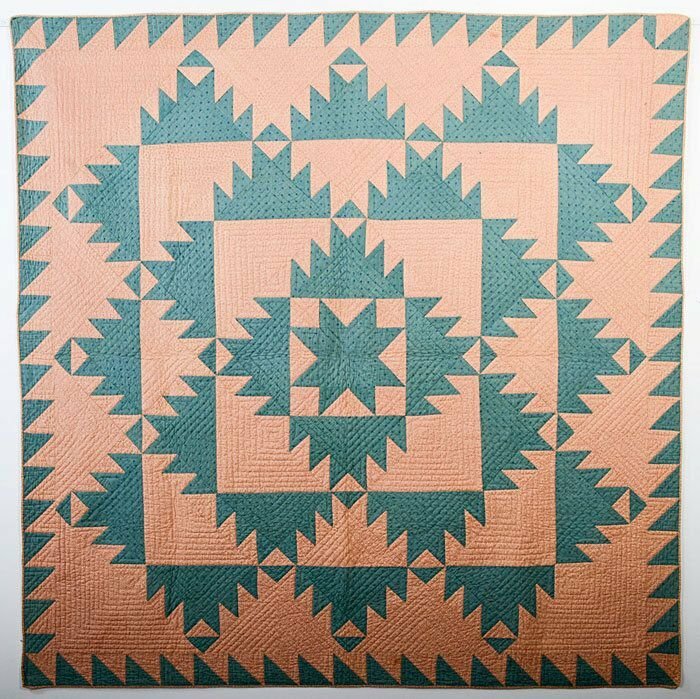 Samples pictured: the red-and-white quilt is by Kim Zabriskie of Quilt-etc.com and is from her class where she teaches how to make this quilt; the green-and-brown quilt is an antique quilt from StellarUrbanAntiques.com (site no longer available).